The Healthy Homeschool Marriage Part 1: Avoid a House Divided! This week I’m going to cover the topic of marriage. Not just any marriage, but a homeschool marriage. It is my experience that homeschool families tend to operate differently than an average family might. It isn’t always easy for Mom and Dad to keep themselves sane amidst the 24/7 chaos that is the homeschool lifestyle. I am hoping and praying that my posts this week will give you all a little food for thought that’ll help you avoid some bumps and smooth out the curves. I’d love to hear from you! Do you have any questions or thoughts about homeschooling and marriage? Please share them with me! You just might encourage a future blog post! To read the other posts in this series click here. SO… on to today’s topic! Undertaking the education of your children at home will have a deep and pervasive impact on nearly everything in a family and a marriage. If you lack the understanding of where your spouse is coming from, what his/her expectations are… you are doomed to run to into at least a few stumbling blocks if not major hurdles. Before you even begin down this path of suggestions I am about to suggest you must stop and pray. Pray with your husband and pray alone. Pray to God this His will be revealed to you regarding your family and your homeschool and the He does what it takes to align your will with His. Open your heart to God’s message for you. First step, find the time to sit with your husband and get the two of you united in your family and your homeschool. If you can find a sitter and take off for the afternoon. Or… sometimes desperate times call for desperate measures… perhaps it is time to allow for an afternoon moviethon. Whatever it takes because in my opinion, a protected and healthy marriage is the first ingredient in a successful homeschool. My husband and I were blessed to take a weekend away to a bed and breakfast just a few days ago. We set aside time during our trip just to discuss our family and our homeschool. Can I make a confession? I actually would have preferred a nap! But really, it was time well spent! Sit together and dream out loud and even on paper about who you want your children to become one day. We all want our kids to wind up happy… what do you think are the important ingredients in that happiness? Financial security (and a career?) Self reliance? A great social support system? An unwavering faith? Some mixture of some of these things? Ideally, what sort of relationships do you want your children to have with each other? With friends? With you? With God? How much downtime, free time, play time, family time would you ultimately like to have as a family? If you could, how might your family change the world? Write this down on paper. Be as brief or detailed as you’d like. I found three great examples for you here. Place your final version someplace where you will see it often like the fridge… or better yet, framed over near your dining table. Show the world you take this seriously. Now that you have a vision for your family, make a list of everything your are involved in and/or passionate about. Are you a church family with multiple ministries, a sports family involved in multiple sports, an outdoors family busy with hiking or camping, a music family always on the go with lessons and/or performances? Or are you like my family… passionate about many of these things and so much more? Which of these activities align with your family’s vision statement? Which do not? You know that ones that don’t have got to go to make room for more of the things that do. What’s missing? You may want to make another vision statement just for your homeschool! One that aligns with your family’s vision statement. But either way. Start thinking about the sort of curriculum that supports your family’s vision. If your family has a heart for missions you may want to be sure you spend a good deal of time studying the live’s of great missionaries. If pursuing the arts is something that is important to your family then you’ll want to dive in that direction. If finding the time to serve other’s is of great importance then you’ll want to be sure you don’t overload on the academics in order to make room for something so fabulous. A great question to ask yourselves is… What do we think success looks like and how do we think is the best way to get our kids there? Is success marked by high grades, general happiness, heart issues or something else? How will you know your homeschool is successful. Ok, I did it! I pulled out the B word! You’ve got to do it though! You’ve got to agree how much to spend on schooling. You’ve got a vision for how it’ll be and an idea of what sort of curriculum you might purchase or create. Now is the time to talk finances. Be reasonable, graceful, and compassionate with one another and be prepared to revisit this subject often. Many marriages stumble because of finances… head this issue off as early as you can. 2. How Will The Homeschool Run? Will Mom do absolutely all of the teaching and planning, prepping and buying, building and cleaning? Maybe it’ll be Dad who does it all? Or will it be more of a shared responsibility. 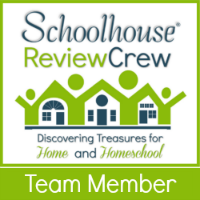 How will the homeschool responsibilities impact the rest of the running of household? If Mom is to do all of the teaching will Dad take on other household chores? Decide now, but be open to change as the days and the seasons pass. What if a purchased curriculum doesn’t work for us, what will we do? Stick it through? Sell it? Stick it in the closet and buy something else? What if there is a discipline issue related to schooling? Who will handle it and generally speaking… how? What if a child struggles in one or more areas? What will be the general course of action for deciding how to deal with it. If one parent has the knee jerk reaction to suggest school then there could be a lot of friction in the family. What if the bread winner loses their income? How will that impact the homeschool? What if one parent disagrees with the other on homeschool style or emphasis or something else related to the educating of the children? How will you work this out and who gets the final say? There are so many what if’s in life. But these should get you thinking! Agree that no matter what, your marriage is the priority over the homeschool. Your children need you both together. Your loving bond together will go light years toward helping your children grow to become the adults you desire them to be. Care for and feed your marriage first and always. Do you think it’s important to get on the same page? How do you and your husband (or spouse) make that happen? Did I miss anything you think is important to consider? Please share in the comments! To read the other posts in this series click here. Thank you for reading! Before you go… did you enter the Kindle Fire giveaway? More info here. Now, have you had your coffee yet today? Actually it doesn’t matter… go grab another cup, make a whole pot! 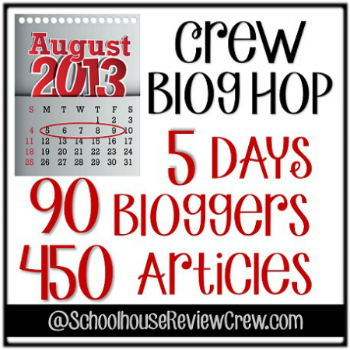 Here are 90 other bloggers who have lots to share with about different topics in homeschooling for the entire week. Yep! This could take a while! But it is totally worth it! Great article Crystal! Thank you!